Today’s readings are fundamental to our understanding of salvation history in that they make a direct connection between Abraham and Jesus. Abraham is the first person with whom God established an everlasting covenantal relationship. In the Genesis reading, God changes Abram’s name to Abraham, a sign of his new covenantal identity and mission, just as Sarai’s name is changed to Sarah. Abraham means “father of a multitude,” the father of many nations. He and Sarah would become the ancestors of both the Hebrew people and us. Through this covenant, God sought to bring all nations to himself. In the Gospel of John, the people ridicule Jesus’ assertion that he had seen Abraham, when he declared that, “…before Abraham came to be, I AM.” Jesus was directly demonstrating his relationship to the Father as the incarnate Son of God and his mission. 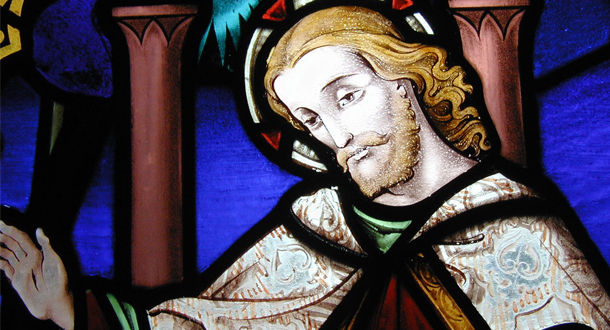 There was no allegory, or symbolism, but a bold assertion of the identity of Jesus. This covenant, this promise, between God and humanity began with Abraham and Sarah, and found its fulfillment in Jesus Christ. It is a promise to which we cling: We will never see death. In a few short days, we will celebrate this dramatic sweep of salvation history, which culminated in an empty tomb, and the resurrection of I AM. Error: Error validating access token: Session has expired on Monday, 18-Mar-19 14:16:37 PDT. The current time is Thursday, 18-Apr-19 19:30:11 PDT.